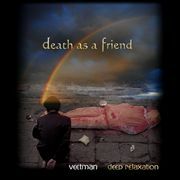 Deep physical relaxation, suggestions for understanding death as a friend that renews life and reminds you to live your life as beautifully and with as much presence as possible. Going beyond the negative pattern of postponing aliveness, love and authenticity. "We are here to leave this world more beautiful than we found it".